This post is about some more places of tourist interest in India which is not covered earlier and is related to Indian tourism industry. Ranganathittu Bird Sanctuary, 3 kilometers from the famous temple town of Srirangapatana in Karnataka, is a 6 islets bird sanctuary. 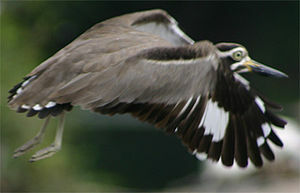 Ranganathittu Bird Sanctuary is the only one of its kind in India, an island bird sanctuary. There is boat facility to go to the Ranganathittu Bird Sanctuary which is in the Kavery River. The group of islets which are now the bird sanctuary were formed due to the construction of some man made structures across the river Kaveri in the year 1648 by the Wodeyar, the then Mysore King. Dr. Salim Ali, who is considered as the father of Indian ornithology, known as the “birdman of India” , noticed that these islets are a major nesting ground for many birds. Late Dr. Salim Ali persuaded the Wodeyar kings of Mysore in 1940 and got these islets declared as Ranganathittu Bird Sanctuary. Full Moon Beach, Paradise Beach and Half moon beach at Gokarna near Hoobly in Karnataka is another tourist palace worth visiting. Periyar Wild life Sanctuary at Thekkedy in Kumali, Kerala, is a beautiful wildlife sanctuary. You can go for boating inside the lake and see many species of animals from your boat. Hoards of Elephants drinking water is a common sight during the Summer months. Thoovanam waterfalls inside the Chinnar Wildlife Sanctuary in Idukki district of Kerala is another Kerala tourist place. Monument of Kuravar and Kurathi Statue at Idukki district of Kerala is another Kerala tourist place. Allepy boating is a major tourism relayed activity in the endless Vembanad backwaters, which is a major backwater tourism boating area in Kerala. Some famous Kerala temples or Kerala Hindu pilgrimage places or Kerala Hindu places of workship are the temples at Thiruvananthapuram Padmanabhaswamy temple, Sabarimala Sree DharmaSastha Temple, Guruvayoor Sri Krishna temple, Aranmula Parthasarathy temple, Ettumanoor Mahadevar temple, Kodulgaloor Bhagavathy temple, Attukal Bhagavathy temple Thiruvananthapuram etc. Another major historic place worth visiting in india is in the North Eastern state of Nagaland. The War Cemetery at Kohima, a war memorial cemetery in memory of those brave soldiers who lost their lives fighting the advancing Japanese army during World War II in 1944. War Cemetery at Kohima is maintained by Commonwealth War Graves Commission. Manali, a major hill station in India is in the Himachal Pradesh state on the Great Himalayan mountain ranges. Koundinya Wildlife Sanctuary in Andhra Pradesh state is another tourist spot which attracts a lot of visitors in and around Hyderabad places.